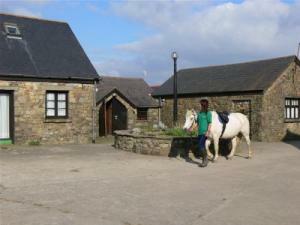 Choose from 86 hotels and guest houses in Gwent and Glamorgan. Shown below a just a selection of the hotels available. To search within an area please use the menu on the right. This hotel is located a few minutes' walk from the city's prime business and shopping district, and is adjacent to the Cardiff International Arena. 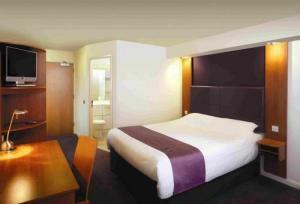 Park Inn Cardiff City Centre offers 146 guest rooms and 6 conference suites that can cater for up to 300 delegates. The RBG bar and restaurant serves a delicious grill menu. The hotel has just completed a full refurbishment of the lobby, bedrooms, bar and restaurant. This hostel-style accommodation with a gym and free Wi-Fi has a great location along the banks of the river, in the shadow of the Millennium Stadium. NosDa Studio Hostel has private en suite rooms at great rates. Studio rooms sleep up to 7 people and have their own pod bathroom and kitchen unit. Continental breakfast is included in the room rate. The hotel has a 24-hour reception, and no curfew. The area surrounding NosDa is set to become Cardiffs newest hot spot for accommodation and entertainment. This charming 17th century coaching inn is found in the centre of the picturesque town of Usk. The hotel restaurant has an AA rosette award and offers a tranquil atmosphere in which to enjoy the fresh fish specialities. The bar is popular with both locals and hotel residents. The historic market town of Usk is nestled in the rural heartland of south east Wales, beautiful countryside to explore during your stay. The Three Salmons is ideally located for those wishing to tour Wales, with superb road links to Cardiff, Newport and the M5. 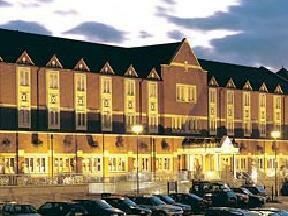 The hotel can cater for various functions for up to 120 people, from corporate meetings to wedding receptions. 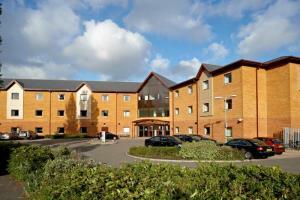 Village Hotel is 4 miles (6.4 km) from Cardiff city centre and the Cardiff Bay area. It has extensive leisure facilities including a 25-metre indoor swimming pool and beauty treatments. 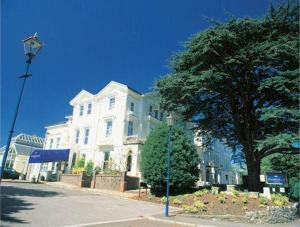 The Village Hotel has plenty of free car parking and good access to the M4. A train station is close by, which takes you directly into the city centre every 30 minutes. The hotel's other leisure facilities include whirlpools, saunas, a steam room and a large gym area. Healthworks lists St Tropez tanning and Jessica Nails treatments among its beauty treatments. Make sure you book treatments in advance. With free on-site parking, these stylish and contemporary luxury apartments are a great choice for business or leisure travellers seeking a great-value alternative to traditional hotel accommodation. Capital Apartments are located in Cardiff Bay, with its waterfront restaurants and bars, the Wales Millennium Centre and other attractions. Just minutes away, Cardiff city centre offers first class shopping, great cafes and the Millennium Stadium. The apartments are fully furnished to a high standard and each one has a fully fitted modern kitchen with a washing machine/dryer, a dishwasher and a fridge. Free wireless internet access is available in all of the apartments. Guests staying in the apartments have access to a swimming pool and gym. With all the freedom, flexibility and convenience of your own apartment in the heart of Cardiff, Capital Apartments are a great choice, whatever your reason for staying in the city. Please note that, unfortunately, Capital Apartments do not accept group bookings. This modern, newly built hotel, with striking limestone exterior and impressive glazing, gives great views across the city and is a short walk from St Mary's Street. Sleeperz Hotels has wooden floors, tiled wet rooms and leather finishes. Rates include free Wi-Fi and national UK calls. A restaurant/breakfast area overlooks the central square, and the lounge bar area has a wood-burning fire and beautiful leather sofas. 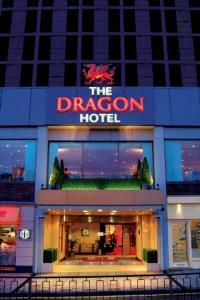 This luxurious 5-star hotel is located in the heart of Cardiff city centre, overlooking Cardiff Castle and City Hall. With spectacular views over the castle and close to the Millennium Stadium, Hilton Cardiff is just a two minute walk from Queen Street, Cardiff's main shopping and business centre and has over 600 shops nearby. The hotel is also just a short distance from Cardiff Central Station and within easy reach of Cardiff International Airport. In over 7 acres of gardens, this 4-star luxury hotel offers free Wi-Fi, free parking, recently refurbished accommodation and a leisure club with 15-metre swimming pool. 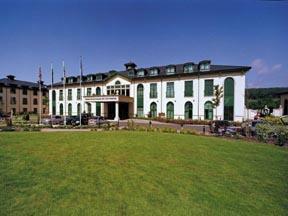 In Cwmbran and within easy reach of Newport and the M4 motorway, the Parkway Hotel has a 4-star rating from the AA. 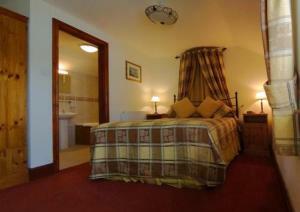 Situated over 2 floors, all of the rooms were fully refurbished in 2006 and 2007. Beautifully furnished, the rooms have oversized beds, plush carpets and marble en suite bathrooms. Each room has a TV, an in-room safe, tea/coffee making facilities, luxury toiletries and soft, fluffy bathrobes. Ravello's Restaurant offers an ? la carte menu of European dishes, made using fresh, local produce. 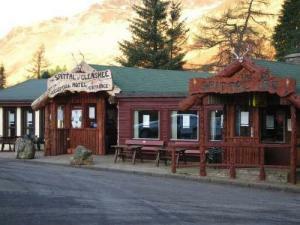 The traditional carvery has also proved popular, as have the hotel's coffee shop and bar. The superb leisure facilities include the deck-level heated indoor pool, a steam room, a sauna, a spa bath and a solarium.